The iPhone launched around 2007, was revolutionary in relation to user experience and of course it created a new niche market for application development. The App Store (online store where applications are available from Apple) has paid over 2 billion U.S. dollars to the developers and the arrival of the iPad , this number is expected to grow much. So if you want to enter this niche market, you need to know what you need to build their applications to run on Apple’s mobile operating system, iOS (before the arrival of the iPad , was simply iPhone OS), which run the iPhone and iPad , so getting started with Adobe AIR for iOS. Before you begin, we need some clarification as to how your application will work done with Adobe AIR running on the iOS. You will only be able to create applications with Adobe AIR, it is not possible to create applications that run in the browser with Flash Player. You will only be able to create applications with Adobe AIR, it is not possible to create applications that run in the browser with Flash Player. 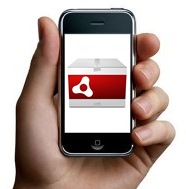 With the Adobe AIR runtime, we have the same problem, it is not possible to install Adobe AIR runtime from the way we used to do on the desktop or Android. What Adobe has done is create a tool using the Low Level Virtual Machine(LLVM) that lets you convert your application done in an Adobe AIR application for native iOS. Adobe has changed the way through to build your application could run in iOS. The mode JIT (Just in Time) for the AOT (Ahead-of-Time) allowing its application on Adobe AIR could be converted to a native application iOS. Adobe has changed the way through to build your application could run in iOS. The mode JIT (Just in Time) for the AOT (Ahead-of-Time) allowing its application on Adobe AIR could be converted to a native application iOS. LLVM is a modular, flexible compiler system that is widely used in a variety of projects. The main reason that Adobe chose LLVM is its flexibility and applicability to the development of iOS. LLVM is already used in the project Alchemy (Alchemy = C/C++ with ActionScript 3.0). 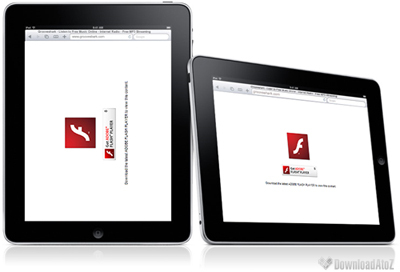 iOS applications created with Flash are supported on iOS 3.0 and higher. Adobe Flash CS5 Professional – You can from Adobe Flash CS5 (with the Packager for iPhone installed), create your applications to the iOS (iPhone/iPad), we have a new profile called “AIR for iOS”, generating the file already with the size standard 320×480. So far there are no pre-programmed components to iOS and is not recommended to use the existing ones in Flash. Adobe Flash Builder 4 (burrito) – Adobe has provided along with the Flash Builder 4 (burrito), the Flex SDK version 4.5, with components optimized for mobile devices, however, these components are still being optimized to run on iOS and will be available in a future version of Flash Builder, but you can create a project ActionScript (ActionScript 3.0 only without using the Flex SDK) and use the command line compiler (ADT). You can create the installer for your application by Flash Builder (future versions), Flash CS5(with the Packager for iPhone installed) or by command line using the ADT. It generated an application with the extension .ipa. The distribution can be made through the App Store, to become a publisher of the App Store, just pay the subscription of $ 99. Watch this tutorial how to publish your application on the App Store. Now we have Flash Builder 4.5.1 with support for iOS, visit the blog of Holly Schinsky (Aka Devgirl) for complete details. yes and you must have a mac! no mac no apps !!! I’m still waiting for the Iphone 4S and see what are the feedback’s before I buy the Item hope they are good….